She looks good, lots going on their with her colors. You have a nice collection. Great pics, your collection is really something. I really enjoy seeing these updates. Earlier I got a chance to drool over your sunglow and now the hypo. Thank you for sharing and feeding my addiction. Your a great enabler I mean support, lol. I’m kidding. Your Boas are amazing though. Looking forward to the next update. I love every time they eat!!! 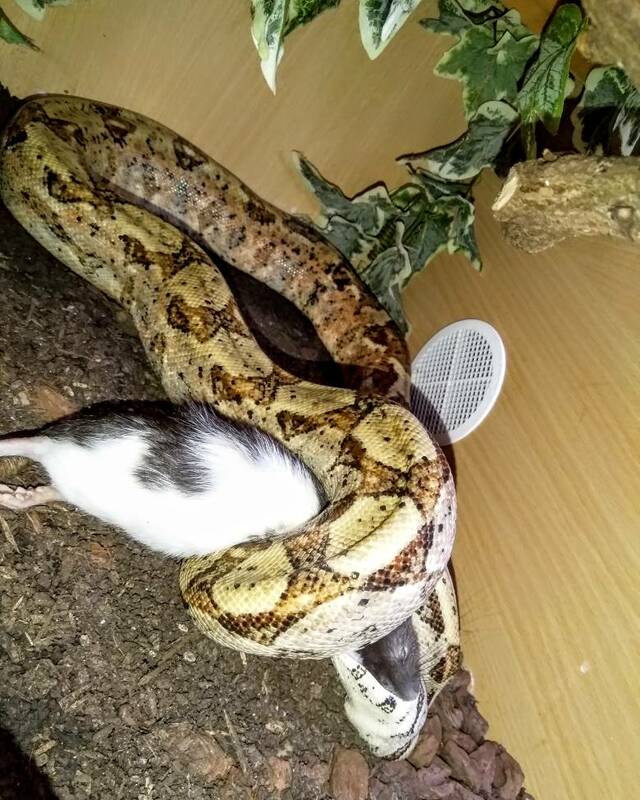 Do every boa in your collection eat the same day? That's what I was thinking, you have a big collection. It has been easy for me with only 3 snakes, I feed them every other Monday. But now with a baby Carpet, I will feed him every Monday and the others will only have to watch.